The USDA Forest Service uses Aluminized Structure Wrap to help protect historic buildings, such as the Gotchen Guard Station, in the Gifford Pinchot National Forest. As flames ravaged trees south of Mt. Adams this week, firefighters used tinfoil-like wrap to protect a historic ranger station in the area. 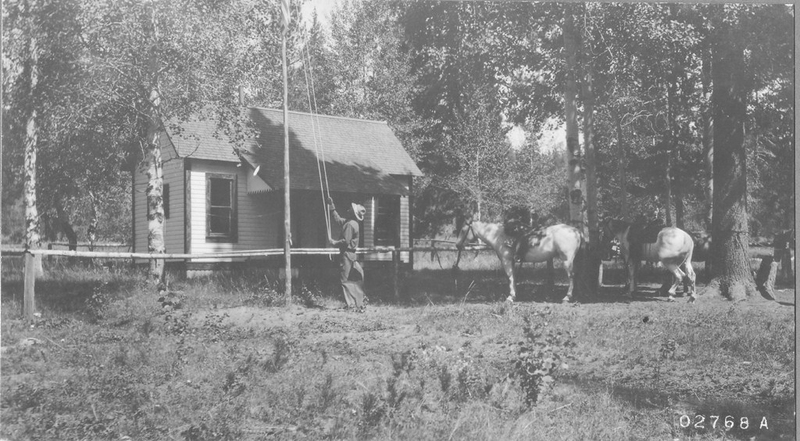 A tiny ranger station, the Gotchen Guard Station was wrapped in order to save it from the Cascade Creek Wildfire. 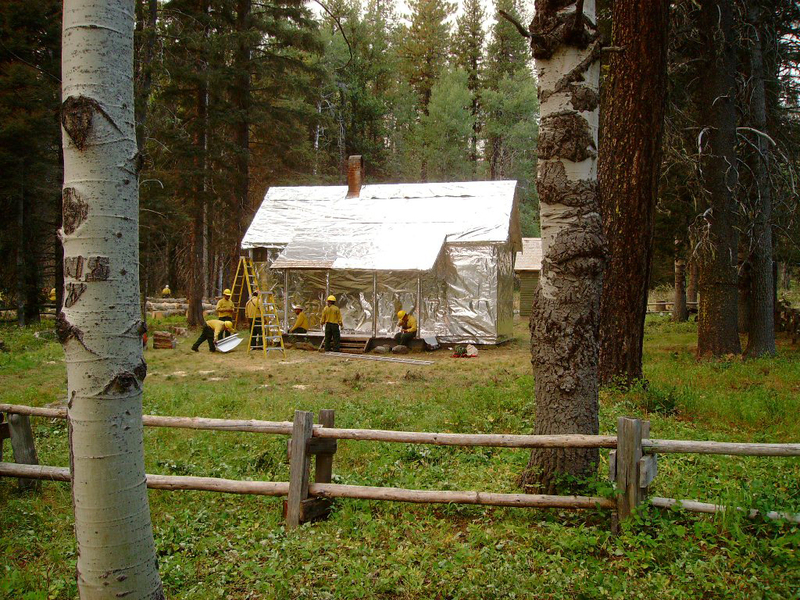 When wildfires threaten historic buildings in national forests, the USDA Forest Service uses Aluminized Structure Wrap to protect them from radiant heat and burning embers. 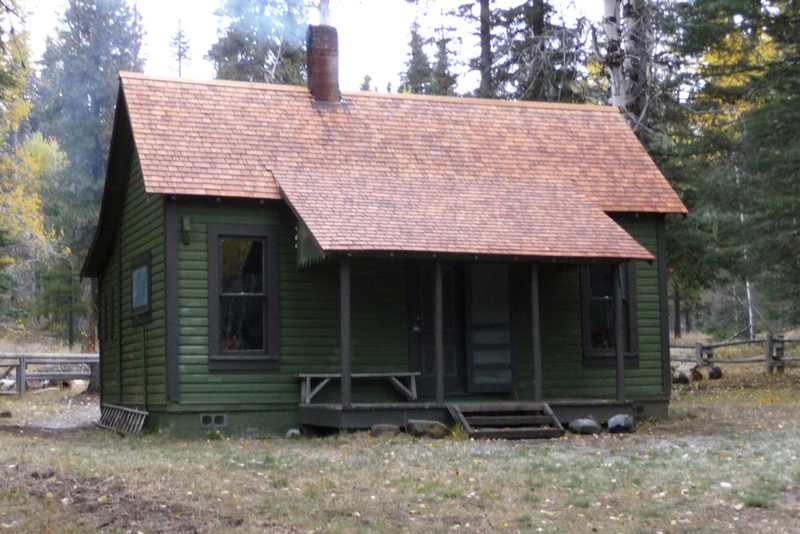 The historic name for this guard station is the Gotchen Creek Ranger Station and is the oldest building within Gifford Pinchot National Forest. It’s located approximately six air miles north of the community of Trout Lake, Washington, on the southern slopes of Mt. Adams. The cabin is 12 feet by 26 feet in size. Built in 1909, the station was used as the administrative headquarters for Mt. Adams District through 1916. The site was selected to administer grazing activities, which was a primary use of the national forest until the 1940s. With the decline of grazing activities, the station was then used to house Forest Guards responsible for monitoring recreation use of the Mt. Adams area. There have been relatively few alterations to the property over time and the majority of the architectural fabric is original. Only eight ranger stations from the Early Forest Service Period (1905-1912) in the Pacific Northwest still exist. They represent the earliest period of national forest administration. Calling all trailblazers! Rare opportunity on September 30 to lay out hiking, biking and equestrian trails at Reiter Foothills!